Monsoon brings in cascades of diseases, and one of them is dengue. Dengue fever is one of the most common ailments in India during the monsoon period. It is a serious viral infection, which is transmitted through a bite of a mosquito known as Aedes aegypti. Dengue usually occurs after an incubation period of 4-10 days, after the bite of an infected mosquito. Dengue fever is a flu-like condition, which is identified by a high-grade fever with chills which may last for around 2- 7 days with an intense headache, joint and muscle pain, pain behind eyes, loss of appetite, nausea, vomiting, internal, external bleeding in the body, weakness, and skin rashes. In severe cases, the disease develops into the life-threatening dengue hemorrhagic fever. First of all, it is important to know that, unfortunately, there is no specific clear line of the treatment for dengue or no effective vaccine which can prevent dengue. Controlling and preventing dengue fever are important steps for keeping people healthy. It is a viral illness, so neither anti-biotics nor steroids work. Early diagnosis and good medical management, such as painkillers, antipyretics, adequate fluid intake, and bed rest help in recovery in most of the patients. Usually, patients recover within 2 weeks. But, an untreated dengue may turn severe leading to Dengue Hemorrhagic syndrome and Dengue shock syndrome. So How Can You Prevent Dengue, Fight Against It, & Keep Yourself & Your Family Safe From It? Source Reduction: The foremost preventive measure is to control the mosquito population and prevent their breeding inside and outside your home. A practical and the important way is to eliminate unnecessary water-filled containers inside the house and in the surrounding areas. Mosquito lays their eggs in containers such as pots, barrels, fountains, the tires, unused bottles, gutters, and street drains. So, by removing these habitats, mosquitoes have fewer opportunities to lay the eggs. The containers should be emptied and cleaned each week to eliminate mosquito eggs. These efforts will be effective when they are followed regularly. Keep a habit of changing the water in vases, remove the water from flower or plant pot plates, and clear any stagnant water in an air cooler. Personal & Household Protection: Protect yourself against mosquito bite, Aedes aegypti bite, during the daytime. So, it is advisable to wear long sleeved shirts and long pants to cover your entire body which will help to reduce mosquito bites outdoors. Use screens for doors and windows or keep the doors and windows closed. Air conditioners reduce the risk of mosquitoes coming into the contact with household members. Using mosquito net while sleeping in the afternoon can prevent being bitten by a mosquito. 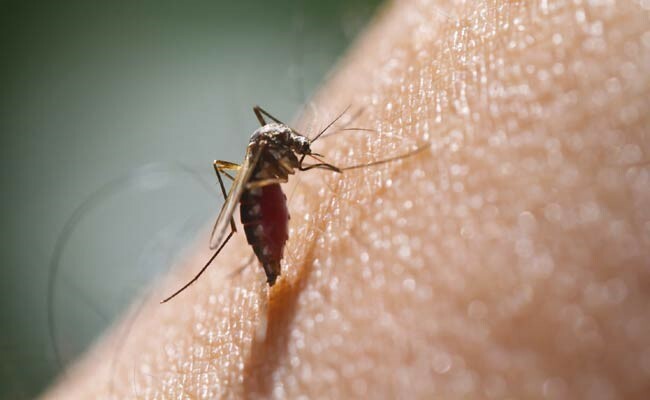 Use Mosquito Repellent: Applying mosquito repellent to the exposed skin will help to prevent mosquito bites. Use Camphor: Light the camphor and let the smoke of camphor stay for 15-20 minutes, as it helps to kill the pests and works wonders as a repellent. Mosquito Pest Control: Make sure mosquito fogging is carried out in and around your society. Always cover your dustbin when not in use. Avoid using perfumes and aftershaves as it attracts mosquito. Use light-colored clothes as bright dark colors attract mosquitoes. Now that you know these helpful tips to prevent dengue, make sure you follow all of them to keep yourself and your family safe from dengue.